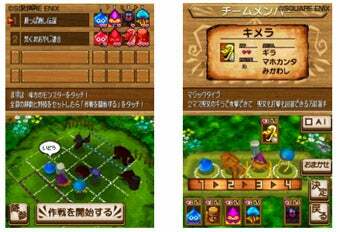 This June, Square Enix is bringing a new Dragon Quest title to Nintendo's DSiWare titled Dragon Quest Wars. The title has players select DQ monsters to duke it out on an anyone-can-play strategy board game. Intelligent Systems, best known for WarioWare and Fire Emblem, handled development duties. Dragon Quest Wars is priced at 500 DS Points.